A beach suit should be comfortable, but it also should protect our skin from the harmful effect of sunlight. If you like to enjoy the sun and do not want to harm your skin, then choose this theme of swimsuits. 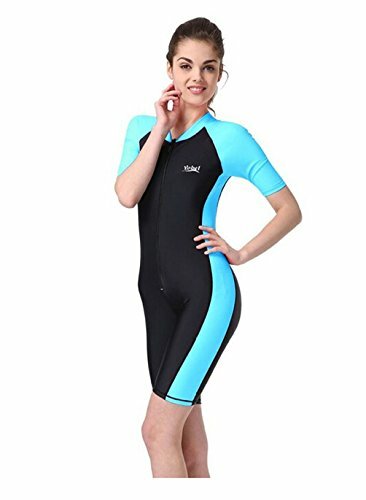 It’s not just a swimsuit it is a combination with absolute protection of your skin. These models could be a top with long sleeves and a bikini, a fully enclosed swimming suit, leggings and a T-shirt or long shorts. Such models were developed by well-known companies: Attraco, Bikman, Ecupper, Hydrochic, Ilishop, Kanu Surf, Liviqi, Pinkwind, and others. In this catalog, we chose only the best quality swimming suits made of durable material. If you have extra kilos, then this choice will be ideal for you. You can not only safe your skin from the sun but also look slimmer and more attractive. Most of the models in this section are made in dark color with small bright inserts. 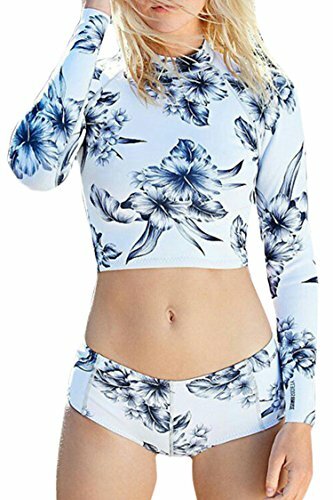 These inserts will make your beach image more fashionable but also take away the attention from the shortcomings of your figure. Each model is made of a material that dries quickly and does not cause irritation of the skin. You will not have a feeling of the stiffness of movement; you will be able to rest, play beach games, swim and walk along the sea line. The model of such swimwear will protect you from harmful ultraviolet radiation. You can rest in full, without thinking about the cream to protect your skin. Special material will help you to look slimmer. Quality and strength of the fabric. You can choose a different design to hide certain imperfections of the body. 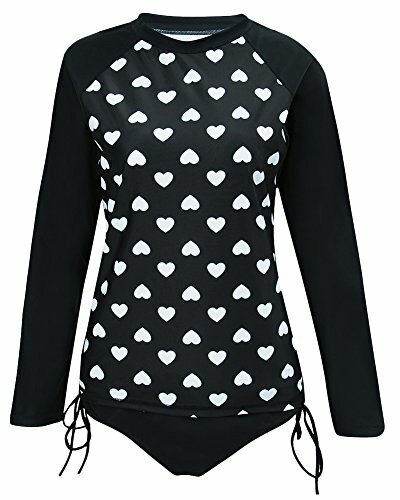 Most often, it is used black color for making these kinds of swimwear, with a small addition of bright colorful inserts. A beautiful figure is not slenderness. Many women with extra kilos look at the stereotype imposed on us. Your lush shapes can also be seductive, so you do not need to cover your body with shapeless clothing. If you want to protect your body from the harmful effects of the sun, then choose this theme. This will allow you to hide the shortcomings of your figure, visually get rid of extra kilos and feel comfortable. Every woman has a beautiful figure, so you need to remember this! Ahead of you waiting for the time of the beach, this time of complete rest – of your soul and body so do not be distracted by the opinions of others and do not think about minuses of your forms. It is includes the bottom. MATERIAL: 82% Polyester and 18% Spandex. SIZE:Swimsuit has good fiexibility, size chart for reference only. Compare the detail sizes with yours. May vary by approximately ¡À1 inch in the specified measurements. *Design:In yoga, running, exercise and other sports Creates a naturally feminine silhouette. *Material：90% Nylon+10% Spandex. The suit bikini makes the skin feel smooth and comfortable. *High Quality:Pay attention to every detail, you feel soft and flexible.Has kept you in perfect figure. 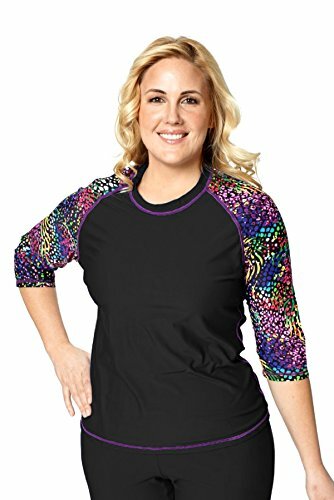 This Plus Size swim shirt is an elbow-length, sun protective, rash guard shirt. Chlorine-resistant. 50+SPF/UPF. 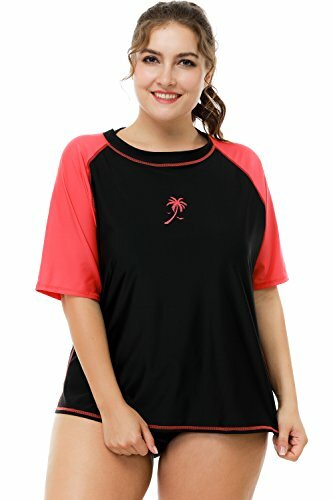 UPF 50+ rash guard top protects sensitive skin from sun burn and UV rays. 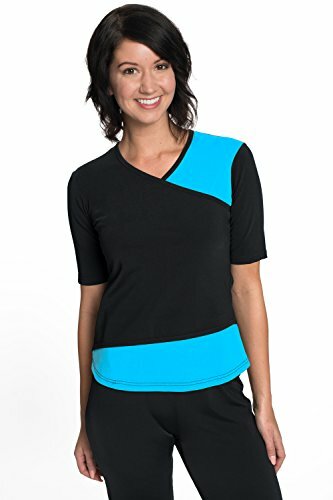 Solid color rashguard swimuit top features short-sleeve and crew neck. 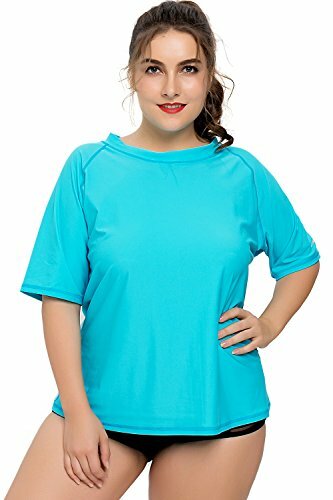 Relaxed fit swim shirt with stretchy and quick dry fabric is comfortable to wear. UPF 50+ rash guard shirt protects sensitive skin from sun burn and UV rays. 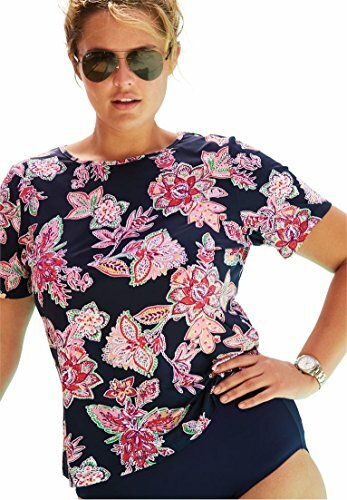 Color block and floral rashguard swimuit features short-sleeve and crew neck. 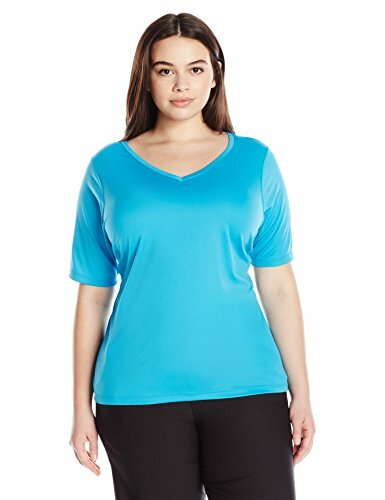 Relaxed fit swim shirt with stretchy and quick dry fabric is comfortable to wear. Imported ,fashion design,100% Brand New,high quality! Material: Nylon,Spandex. High quality swimming fabric made. 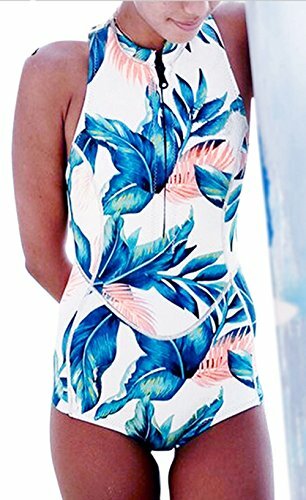 Style One:One-piece,Front Zipper ,Without Sleeved , Floral Print Pattern . 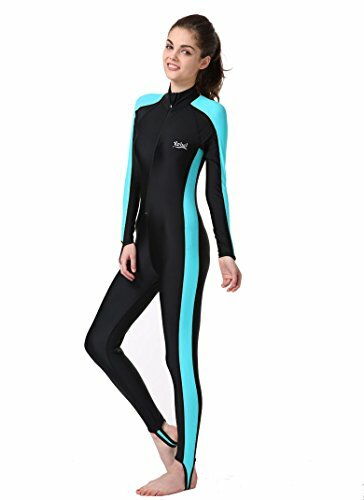 Cute surf suit for women or girls . Soft fabric for comfort. 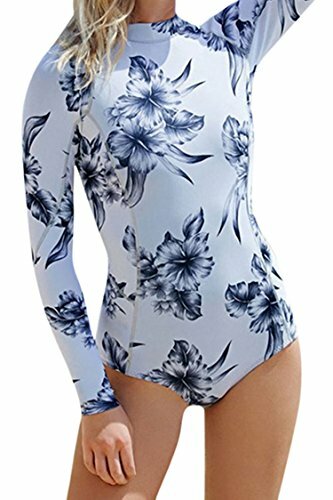 Good for daily wear in summer,holiday Fashion Cute Print Floral Surf Suit Rash Guard One Piece Swimsuit Sun Protection Swimwear Beachwear Plus Size For Women or Girls . Cool patterns and printings highlight your temperament. 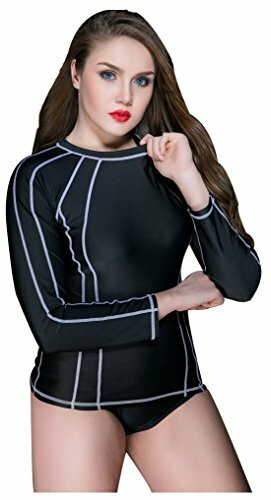 Material:Spandex,Polyester Size:S(US6-8):Chest 35"-36.6,Waist 26.4"-27.5";Hip 35.4"-37";M(US10-12):Chest 36.6"-38.1",Waist 27.5"-28.7";Hip 37"-38.1";L(US12-14):Chest 38.1"-39.3",Waist 28.7"-29.9";Hip 38.1"-39.7". Polyamide 82% + Elastane 18%. Plus size available. 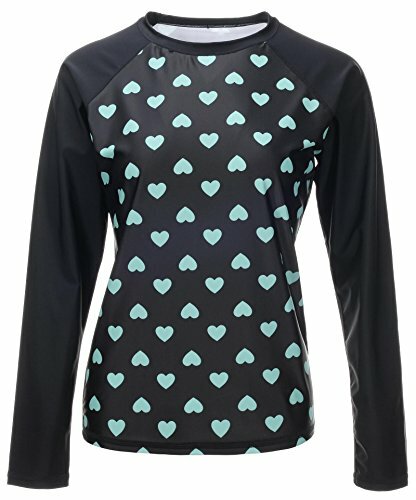 Raglan Long sleeve, crew neck and heart-shaped printed top with tie side adjustable bottoms. 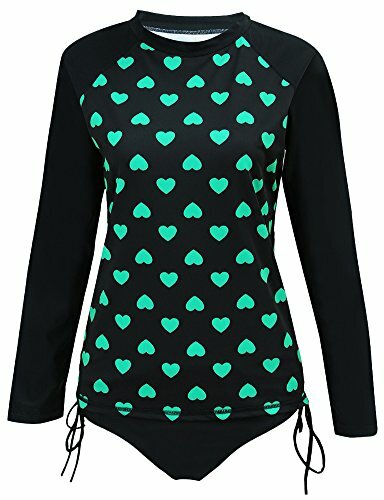 UPF 50+,UV Block Protective.